Understanding the demand of the clients, we are engaged in manufacturing, supplying and exporting superior quality Bottle Caps to our customers. Following established guidelines of the industry, we manufacture these caps with high quality raw materials procured from distinguished vendors of the market. We provide these caps in multiple sizes and wide range liner options. 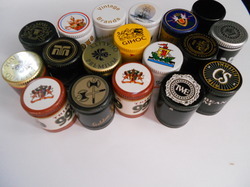 With an immense experience of manufacturing, supplying and exporting featured quality Rum Bottle Caps, We offer them in various sizes of 30/60 mm,31.5/60,31/44, 28/44, 28/38 , 30/35 mm and 30/44 mm. 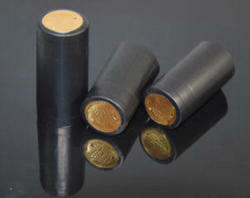 The liner options include EPE, EPE with Saranex, EPE with tin Saranex. We follow the industry set norms and standards in manufacturing our products accurately. We are engaged in manufacturing, supplying and exporting superior quality Wine Bottle Caps in broad range of sizes of 30/60 mm,31.5/60,31/44, 28/44, 28/38 , 30/35 mm and 30/44 mm ideal to wine industry following all the norms and standards set by industry precisely. We manufacture these caps with perfect quality of raw materials sourced from reliable vendors of the market. Being a customer oriented organization, we are engaged in manufacturing, supplying and exporting Vodka Bottle Caps in distinct sizes ideal to wine industry. The liner options include EPE, EPE with Saranex, EPE with tin Saranex. We are sourced with featured quality raw material from authentic vendors. 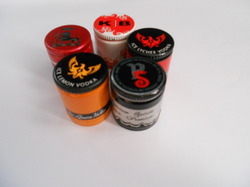 Our stringent quality check parameters ensures us to provide premium quality Vodka Bottle Caps to our customers. 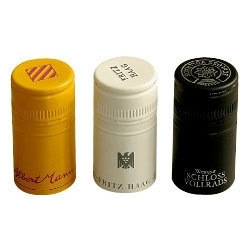 With profound knowledge of the demand of our clients, we manufacture, supply and export superior quality Wine Bottle Caps in distinctive range of sizes ideal to wine industry following all the norms and standards set by industry accurately. We manufacture these caps with impeccable quality of raw materials rooted from reliable vendors of the market. Alumnium capsules are made by laminating (or layering) aluminum, polyethylene and aluminum. Alumnium provides economy while maintaining a high-quality metal image. This product is available in standard 110 micron and heavy weight 115 micron. 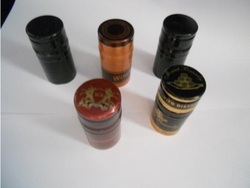 Since our inception, we are manufacturing, supplying and exporting featured quality Colored Wine Bottle Caps. 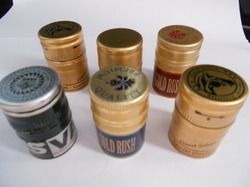 We manufacture these caps in variety of colors, multiple sizes and distinctive liner options. We provide these caps in such a way that their size is customizable owing to the interests of our customers. 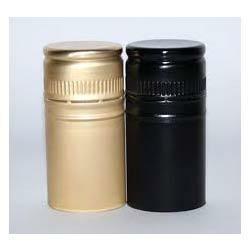 We are involved in manufacturing, supplying and exporting premium quality Metal Wine Bottle Caps in the market. Manufactured under the guidance of our experienced professionals, these caps comply with the norms and standards already set by the industry. With an eye on advancing technology we manufacture these caps with exceptional quality raw material available in the market. 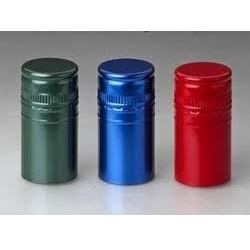 We are prime manufacturer, supplier and exporter of Aluminum Wine Bottle Caps in the market since our inception. Understanding the needs of our customers, we offer these caps in various designs and in customized range of sizes. We make sure to manufacture these caps with raw materials of impeccable quality. We follow all the norms and standards in manufacturing these caps precisely. 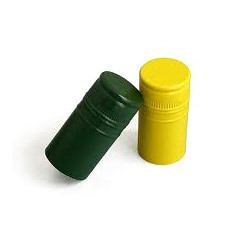 Expertized in manufacturing, supplying and exporting Grape Wine Bottle Caps, we offer wide range of caps in multiple sizes and colors. We are sourced with impeccable quality of raw material from reliable vendors of the market. These closures are supervised at every stage of manufacturing, with an aim to maintain higher quality standards and eliminate flaws. Expertized in manufacturing, supplying and exporting Grape Bottle Caps, we offer wide range of caps in multiple sizes and colors. We are sourced with impeccable quality of raw material from reliable vendors of the market. These closures are supervised at every stage of manufacturing, with an aim to maintain higher quality standards and eliminate flaws.